Sorry, The Winter Passing is out of stock. 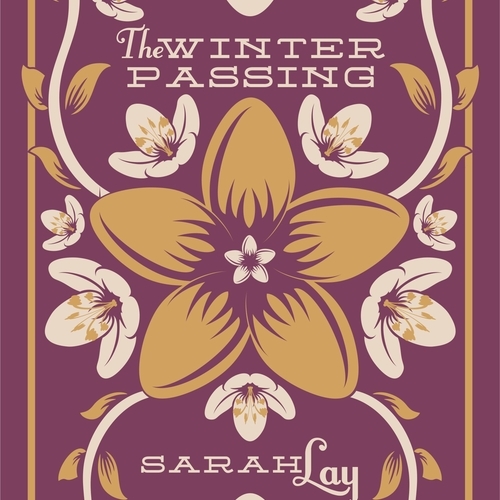 The Winter Passing is the first book in the House of Morrigan series and the debut novel from Sarah Lay. The paperback is in standard novel size, with a matte finish colour card cover designed by Marcus Galley at Mammoth Creative Works, and black print on cream paper. For eBook please visit Amazon. The days of Centaury’s mundane life are starting to fall through her; her job is going nowhere and her relationship with her childhood sweetheart is faltering. The island where she grew up is calling her home and it’s starting to bother her that she can’t remember why she ran away or what it was she left behind. A chance encounter starts to free her memories and she learns those she thought she knew have been keeping dark secrets as well as the powers she possesses away from her. Suddenly in danger she must convince those who seek to lock her magic away she may be the only hope for stopping the dark power rising and threatening them all. Sarah Lay is a music journalist, editor and digital strategist. While most of her written work is academic, journalistic or business she has worked on stories for as long as she can remember. Her debut novel had been floating around her head for many years but was started unplanned while in a cottage on the west coast of Scotland, and was completed just eight weeks later. She then took another two years to procrastinate over publishing it while writing the two other books in the trilogy. Currently working in user experience design and as a freelance music writer she is associate editor of Louder Than War magazine (and previously editor of the LTW online), and a contributor to Loud and Quiet as well as sites including Drowned In Sound. She has previously run her own music PR agency, and is co-founder and owner of independent record label and publishing house Reckless Yes. She lives in Derbyshire with her husband and two sons, too many books and never-enough records.